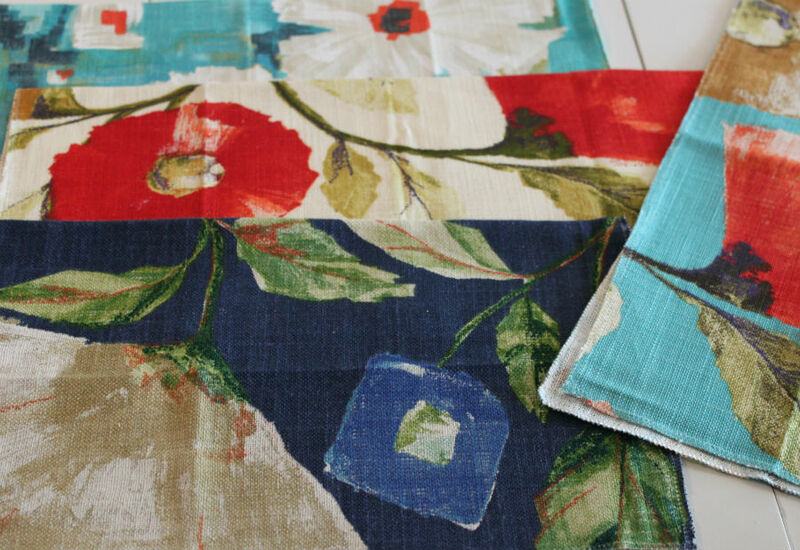 Spring is a big time for us at Spruce and, among many of our activities, we receive a host of samples from our fabric manufacturers’ new collections. 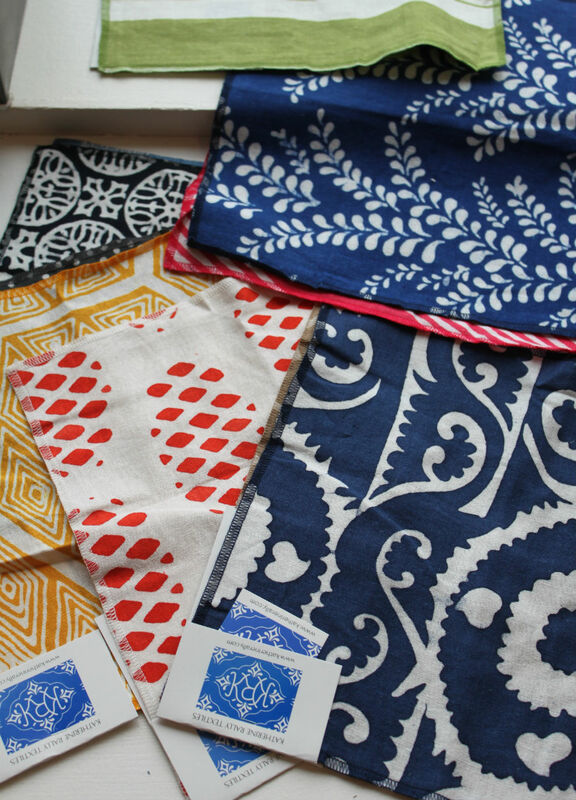 We now have a handful of fresh fabric books and even a few new lines to offer you, too! Like clockwork, some of the trends we’re seeing in fashion and interiors have filtered through. From the turquoise trend to bold florals, ethnic prints, watercolor and confetti — we’ve got the best looks covered! This trend has been hanging on for awhile! In 2005 and 2010, Pantone named turquoise the color of the year. I kid you not, we probably upholster a piece of furniture in turquoise at least 3 to 4 times a month. Turquoise is so hot, it’s almost behaving like a neutral these days! Mix it with other blue-greens and blues for a monochromatic look, pair it with compliments of orange, or add it to any interior for an element of surprise. All aboard the turquoise train! 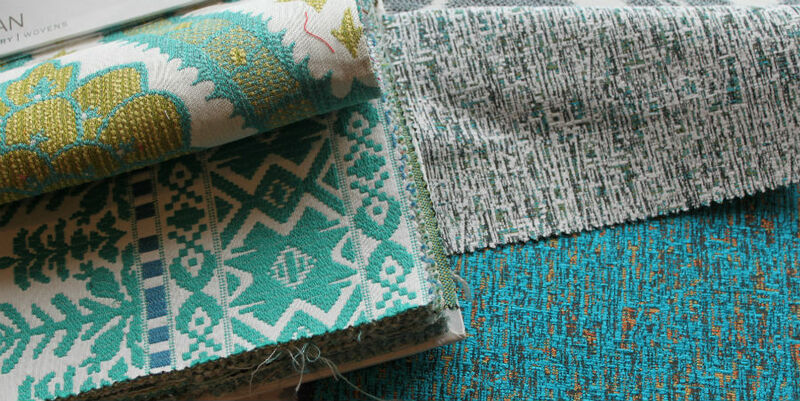 Pictured is Robert Allen‘s Sophia Range and Aztec City in Veridian (top and bottom left), and Magitex‘s Enzo in aqua and turquoise (right top and botttom). 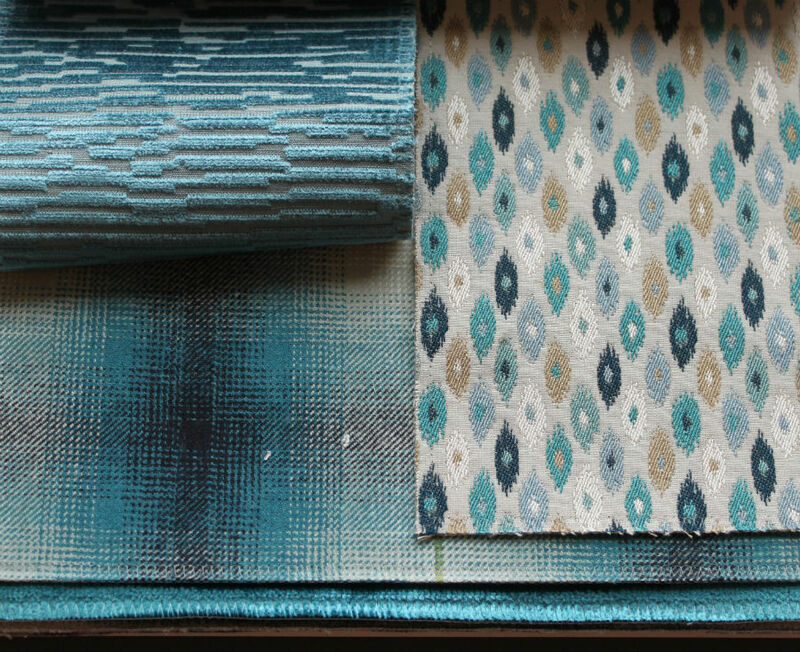 Pictured are patterns from the Osborne & Little Corniche collection in turquoise. This one’s an annual classic, and is more related to human nature than this year’s trend. When fall and winter come, we grey-out, hibernate, wear sweaters and wool. When spring is here, we come alive and want to live outdoors! 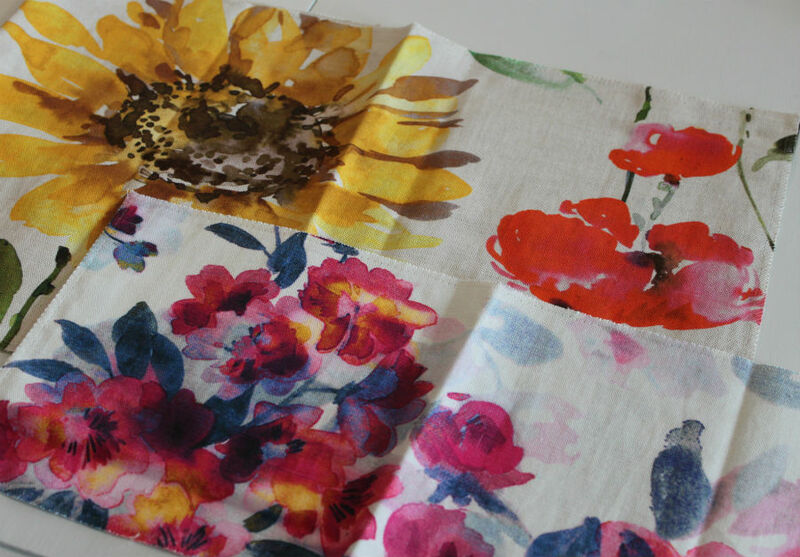 This spring, we’re seeing bright and bold florals that liven up the ho-hum of the last season. 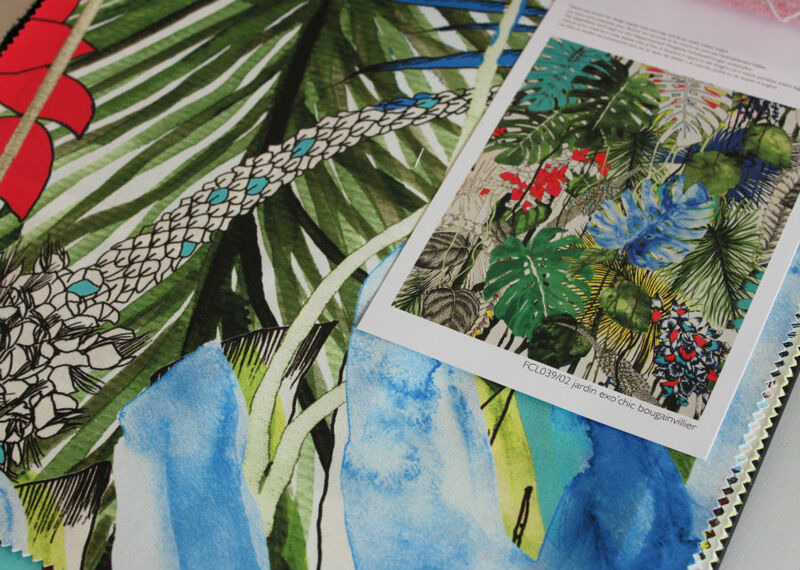 These are the boldest, most luxurious florals from the masterful Christian Lacroix. Pattern shown is Jardin Exo’chic in Bougainvillier. Retro looks from the mid-century; modernize with these! 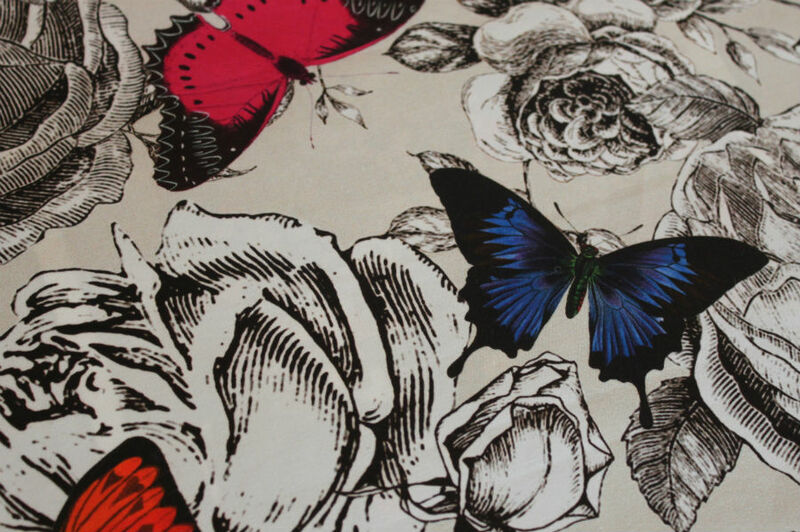 This Osborne & Little pattern is Butterfly Garden. Graphic florals are so pretty! We’ve seen this trend hanging around for awhile, as well. Different ethnic looks and textiles take center stage over the years. 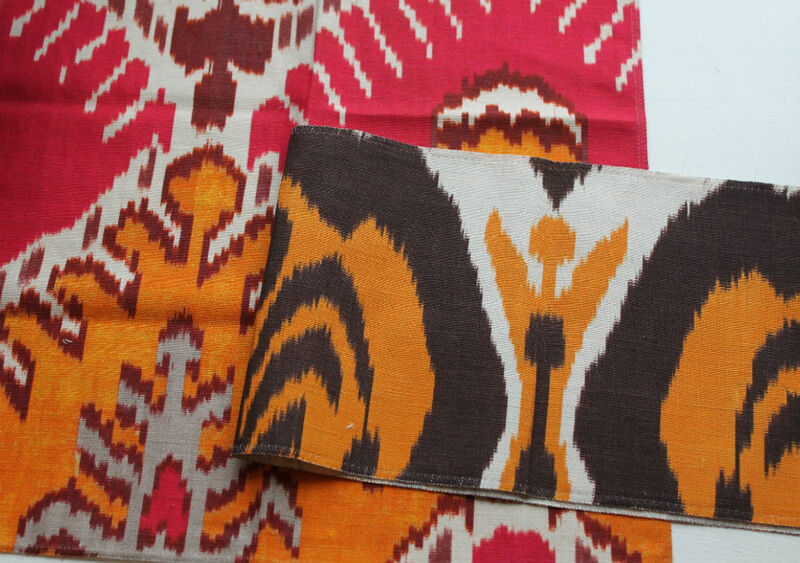 Here at the shop, we’re still receiving a lot of ikat, while new batiks and hand-block looks are filtering in as well. Embroideries are the splurge. My favorite ethnic look mimics a vintage North or Central American blanket. Oasis in two colors from Chivasso. See this in person! The colors just don’t translate on screen! 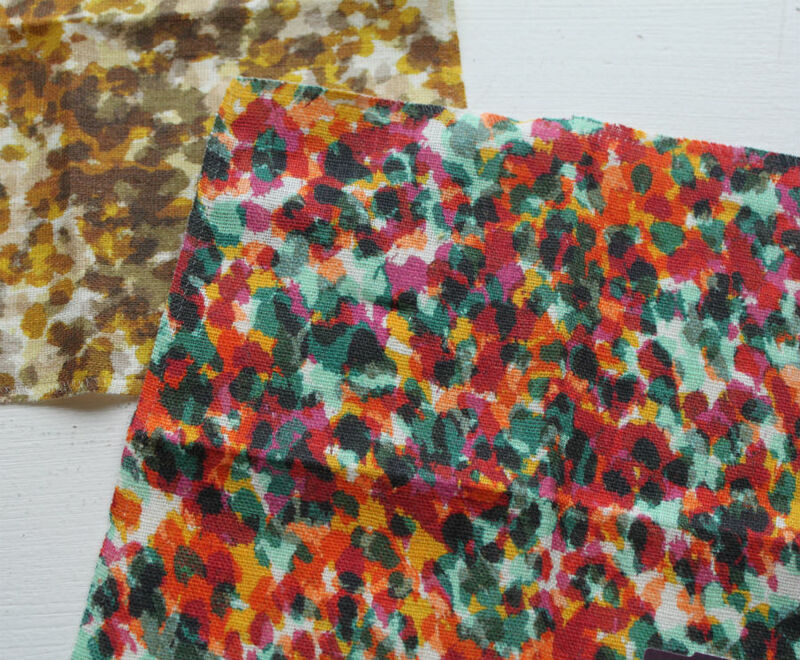 New fabric line in the shop! 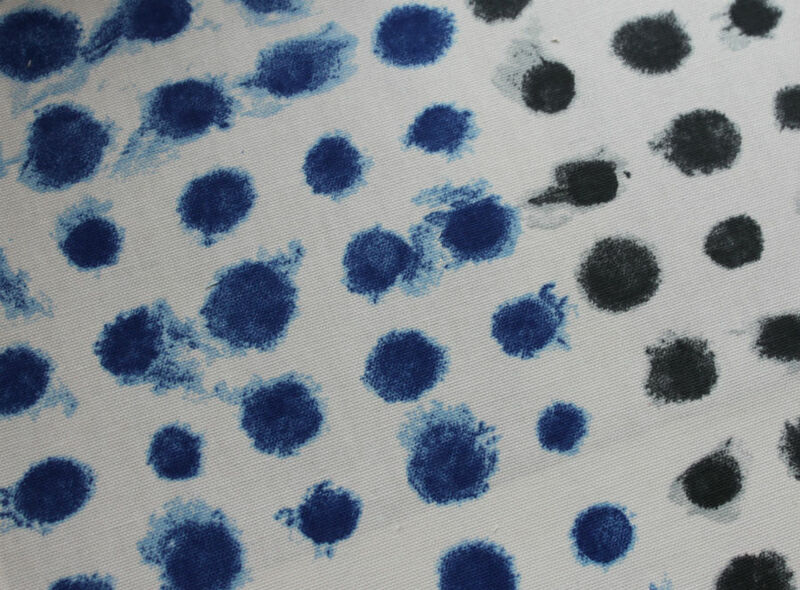 Loads of cool batik and hand prints from Katherine Rally Textiles. Great for pillows and draperies! New! New! New! 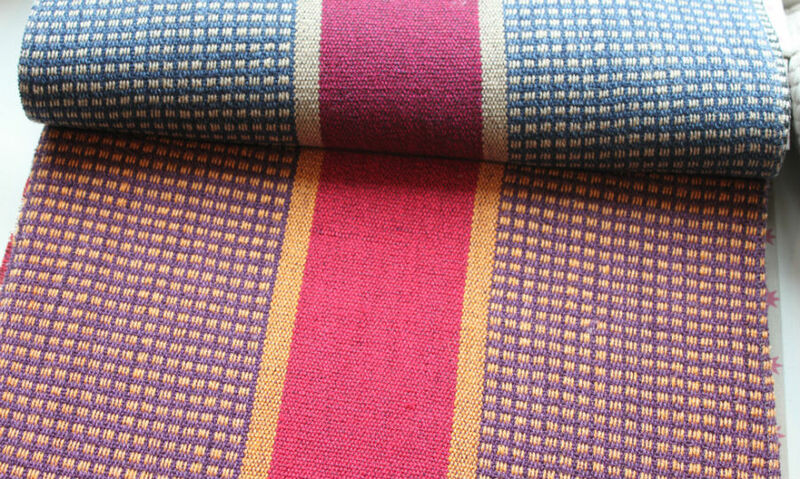 Lorca’s blanket look: pattern Zuni. I love this trend! 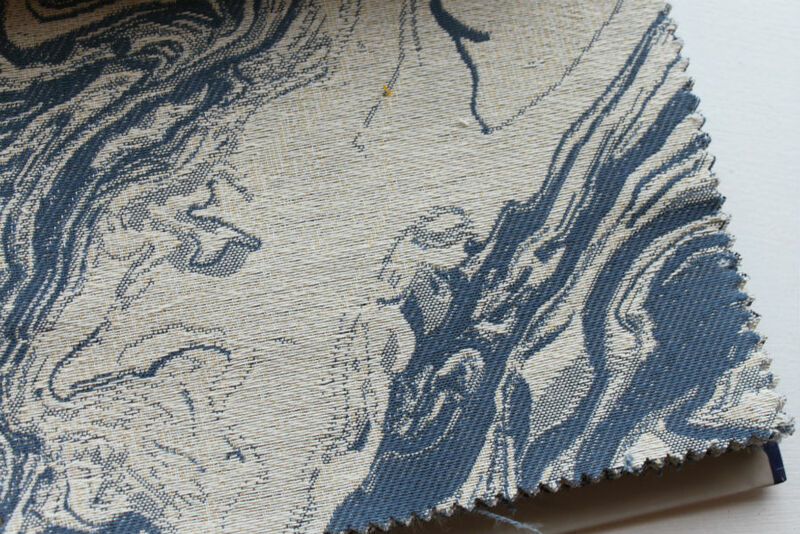 I would love to upholster anything in a blanket, or maybe just make a throw out of this fabric. RAD! 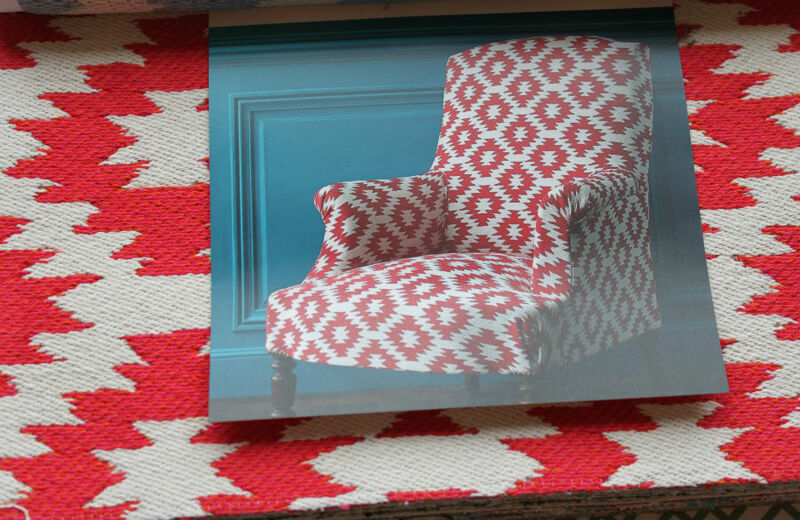 Manuel Canovas‘s cool Texas pattern in cardinal. I had to include this one! Look how cute! My favorite example of this idea is the Sonya Rykiel sample we just received. We will be getting a full book of this collection shortly, but here is a highlight! A Sonia Rykiel design for Stark fabrics. 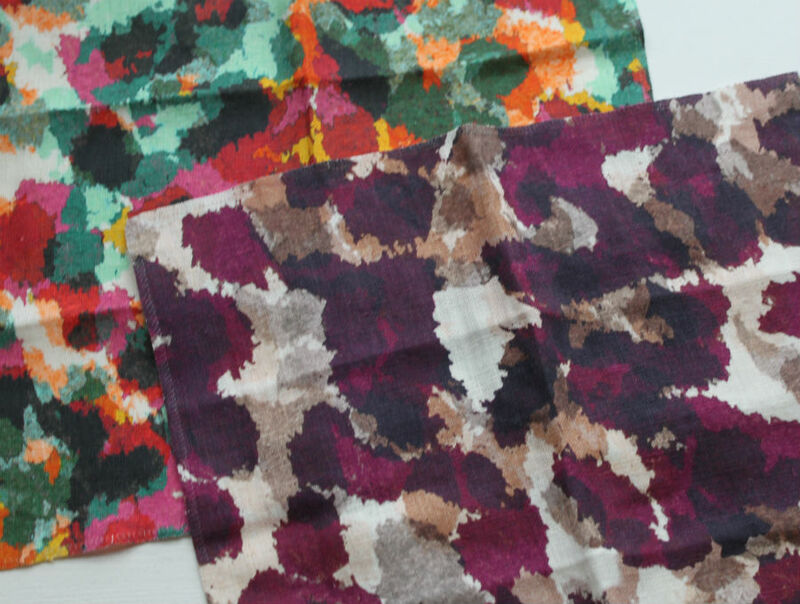 Another Rykiel design for Stark fabric. 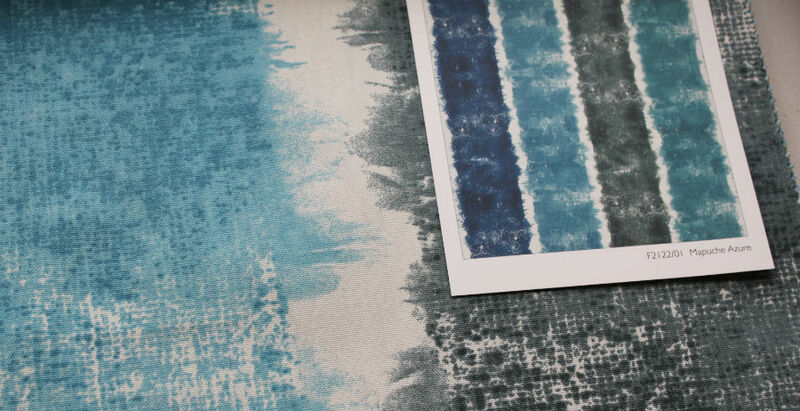 Multi-color watery hues on one textile, or a lot of white space and a whisper of color, a gesture, a brushstroke — all forms of the idea are so cool! The look can be vibrant, romantic, whimsical, artistic, and add an element of the unique. Another hot craze is using indigo hues! Designers Guild gold! As always! Pattern is Almapura in Cobalt. Designers Guild wide watercolor stripe. Mapuche in Azure. JF Fabrics watercolor/marbled pattern Goldberg. Other interiors trends this year include hair on hide leather, blonde or honey-colored wood, and one trend report I read named corduroy as a top trend! What? Awesome! (If you need to see some corduroy, we have that too!) Even though Spring is in full swing, we have more new books and patterns arriving every week. Come and see what’s new! May 21st, 2014 posted under Clar, Fabrics, The Spruce Studio and Store.